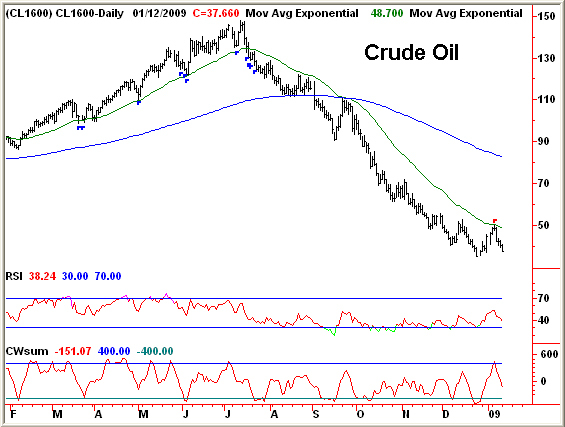 The crude oil price rallied to $50 on January 6th and produced an RSI(14) reading of 53, just short of the levels we thought would provide resistance. 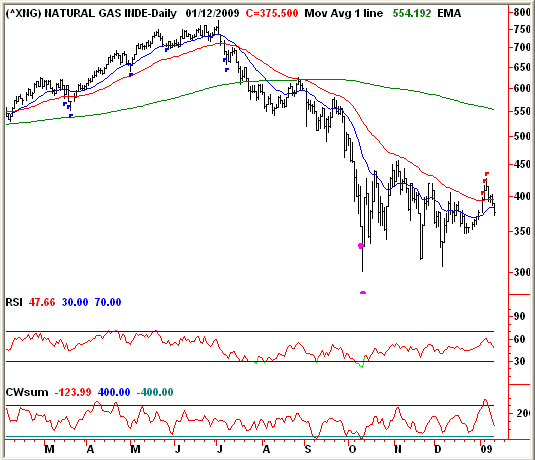 The US and Canadian oil and gas stock indices have managed to hold their own since oil generated its first daily capitulation reading back in mid October and last week saw the stocks become the most overbought since May. They are now turning lower (see last page). 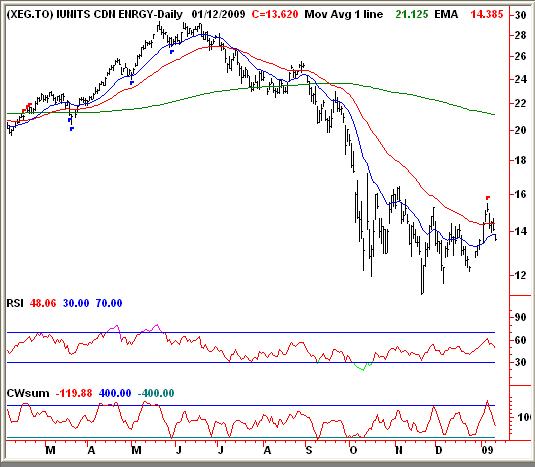 Overbought readings following downside capitulation readings invariably see prices retest support within two to three weeks. This timing fits well with the next period of oil’s seasonal buoyancy that should present itself once we pass the 20th of January. 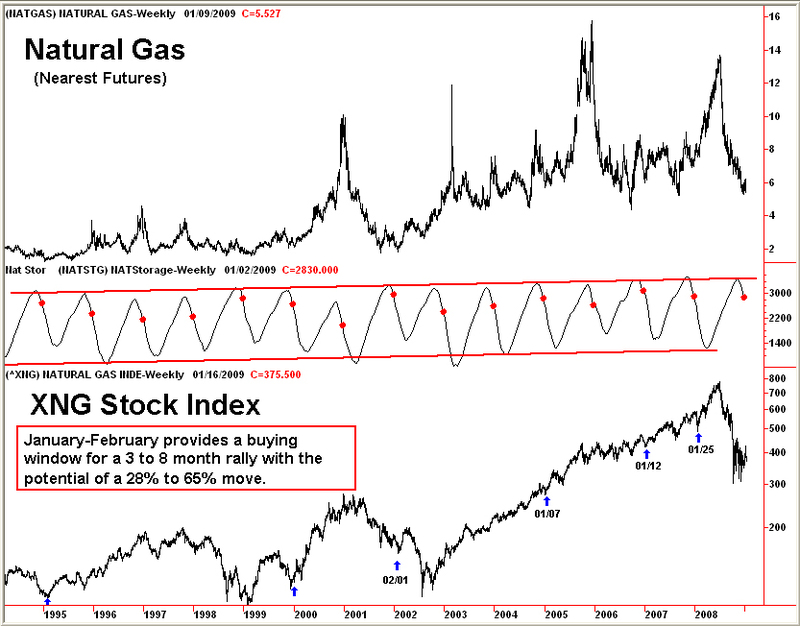 Historically, the natural gas price normally bases through December-January and then moves higher into April. In years such as this, when inventories are at or above average, the related stocks have a tendency to bottom out in January through early February. 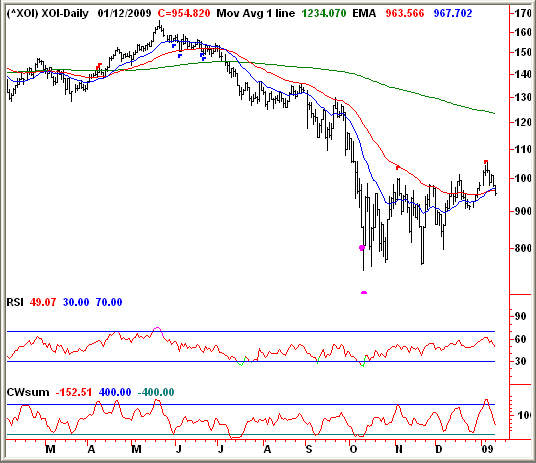 Subsequent price advances in the XNG are normally from 28% to 65% over a period of three to eight months.